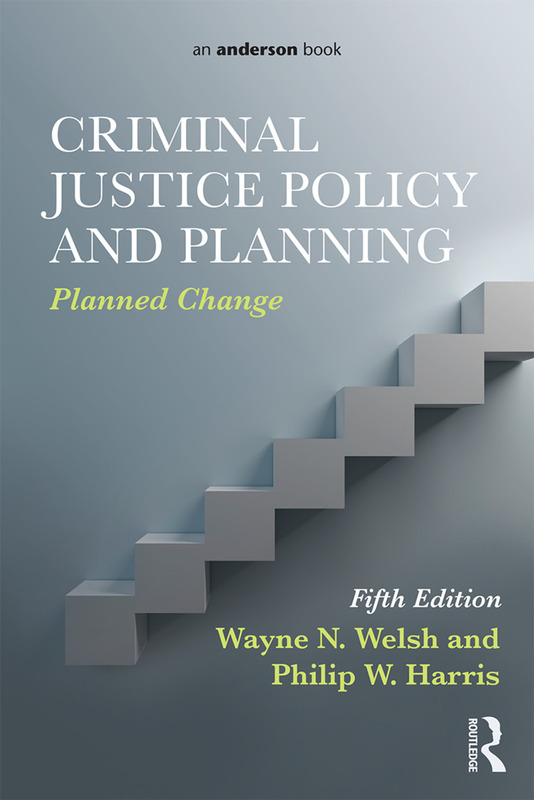 Unlike other textbooks on the subject, Criminal Justice Policy and Planning: Planned Change, Fifth Edition, presents a comprehensive and structured account of the process of administering planned change in the criminal justice system. Welsh and Harris detail a simple yet sophisticated seven-stage model, which offers students and practitioners a full account of program and policy development from beginning to end. The authors thoughtfully discuss the steps: analyzing a problem; setting goals and objectives; designing the program or policy; action planning; implementing and monitoring; evaluating outcomes; and reassessing and reviewing. Within these steps, students focus on performing essential procedures, such as conducting a systems analysis, specifying an impact model, identifying target populations, making cost projections, collecting monitoring data, and performing evaluations. In reviewing these steps and procedures, students can develop a full appreciation for the challenges inherent in the process and understand the tools that they require to meet those challenges. To provide for a greater understanding of the material, the text uses a wide array of real-life case studies and examples of programs and policies. Examples include policies such as Restorative Justice, Justice Reinvestment, Stop-and-Frisk, and the Brady Act, and programs such as drug courts, community-based violence prevention, and halfway houses. By examining the successes and failures of various innovations, the authors demonstrate both the ability of rational planning to make successful improvements and the tendency of unplanned change to result in undesirable outcomes. The result is a powerful argument for the use of logic, deliberation, and collaboration in criminal justice innovations.